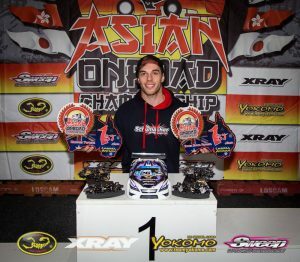 Schumacher’s Antoni Caretti put on an awesome display at the Asian On Road Championship down in Australia this last weekend. 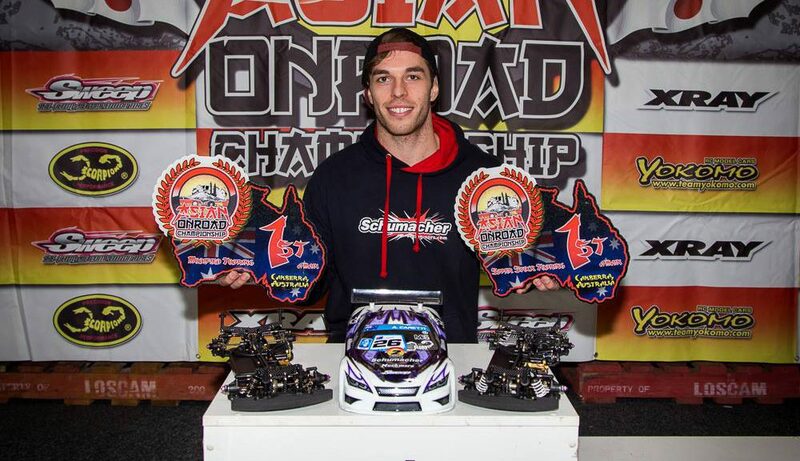 170 drivers from mainly Australia took part in the event presented by legendary race organiser Scotty Ernst. 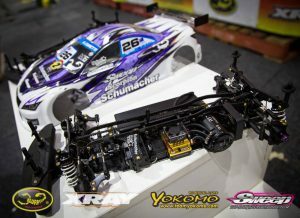 Caretti won both the 13.5T Stock class and the Modified title with his Schumacher Mi6.Antoni is next off to Thailand to practice before heading off to China to test before the IFMAR Worlds.